While spending a wonderful weekend visiting my daughter in Milwaukee I snuck in a quick walk at one of the downtown parks along Lake Michigan. There were a number of interesting migrants in the area including a beautiful pair of Horned Grebes in breeding plumage. The Horned Grebe’s feet seemed set farther back than most ducks (as seen in above photo), which was verified when I checked the fields guides. 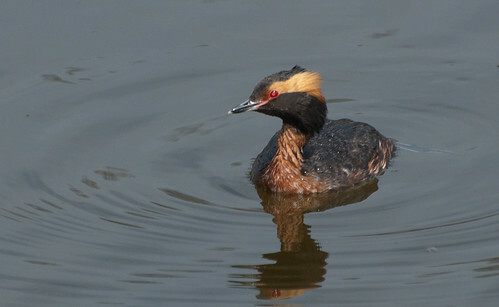 The yellowish, golden feathers on either side of the head give the Horned Grebe its name and are especially impressive when the bird has them raised. 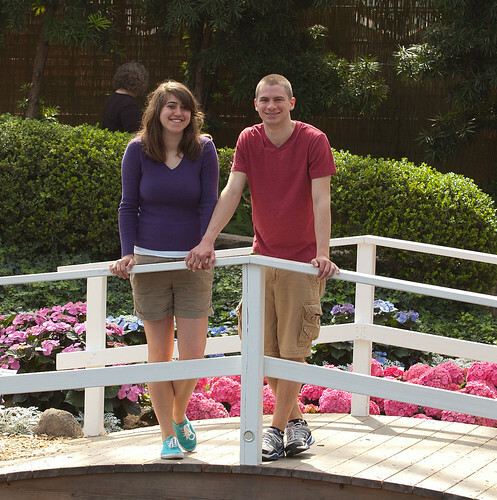 The males and females look similar. 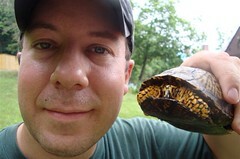 This entry was posted on 19 April 2012 by patacoate. 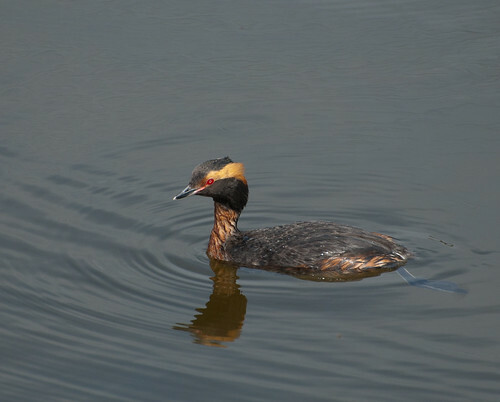 It was filed under iPhone and was tagged with Horned Grebe, Horned Grebe in breeding plumage. 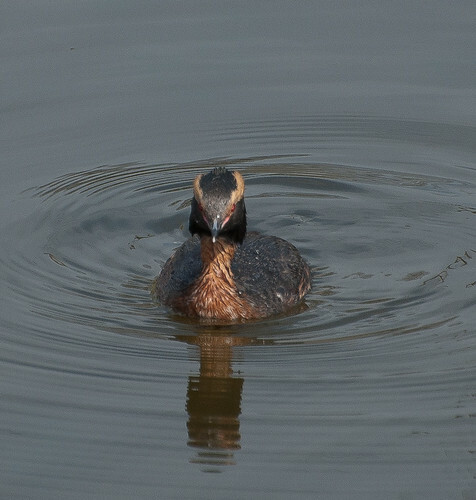 Very cool shots of the Horned Grebe. 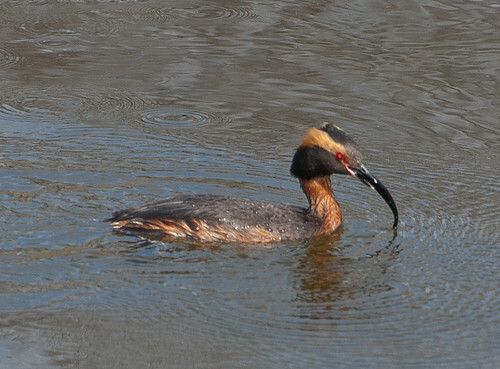 I just love all the grebes. 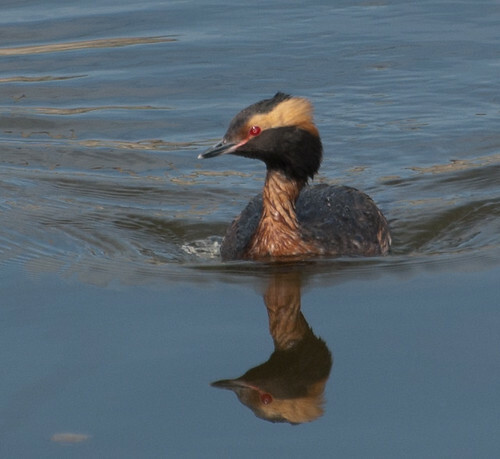 Beautiful shots of the Horned Grebe.